If automatic theme installation doesn’t work for you, you can install theme via FTP. In a theme package you downloaded from ThemeForest you can find a 'Theme' folder that contains installable .zip archive. Please unzip it to be ready for uploading to the server. In our guide we will use Cyberduck as an FTP client, but the process is the same for other applications. 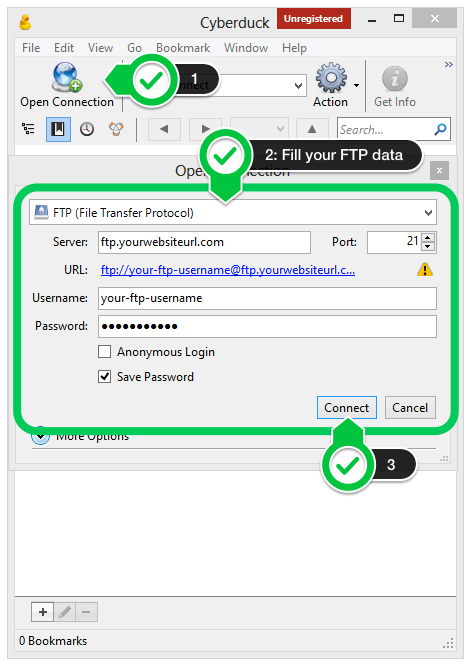 Create a new FTP connection if not already have it done. 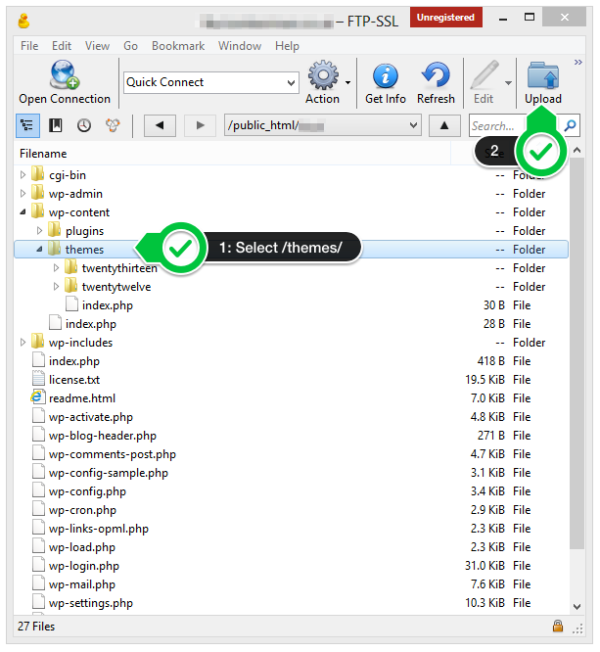 On the server find and select /wp-content/themes/ folder. In a popup window locate and select a folder with an unarchived theme. Wait until all the files will be loaded to the server. NOTE: Please make sure that you uploading to the server only theme installable folder that has theme name and not the whole theme package archive you received by themefrorest. There you will see our theme among other available themes. Hover theme name and click “ Activate" button. Next step: Now please perform after install configuration.